Looks great Steve. Do you protect the parvifolia for the winter? Having just looked through this thread can someone explain a whip shoot and survival shoot? Dealing mainly with Fargesias I don't see these types of shoots. I tried wrapping it up in some thin frost cloth last winter, but that stuff ended up mostly blowing off, but when -16C is about as cold as it ever gets for the winter, that really didn't matter because an established parvifolia grove can stay evergreen below that. In the years prior to that, I simply let the snow weigh most of the culms down to the ground because we have a lot of snow whenever there is a deep freeze. 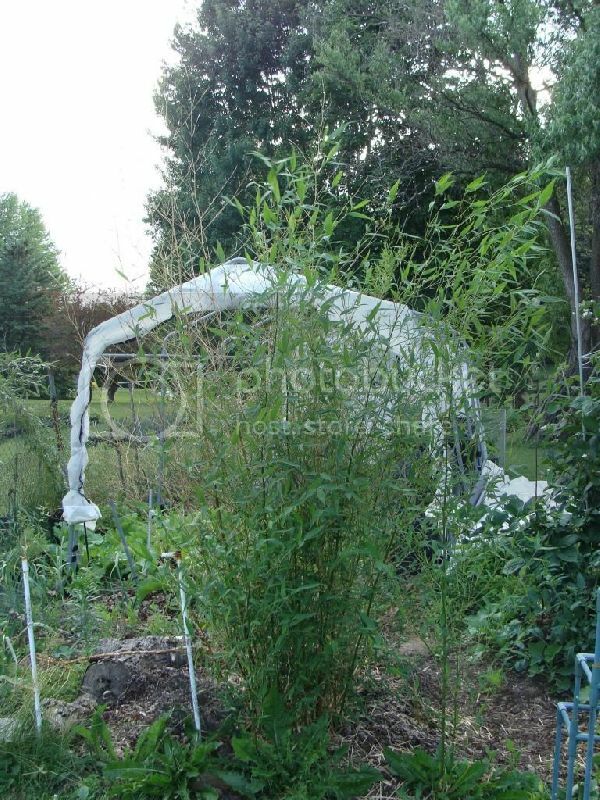 I could still try and tie the culms together perhaps in 2 clumps, then shrink wrap them over this winter, but I really don't think it would be necessary for it being fairly established, and being a leaf hardy species in my climate. I know there are still a couple tiny 7ft culms on the left side, but I decided not to disturb any of the rhizomes headed in that direction. This is my before and after and after photos. 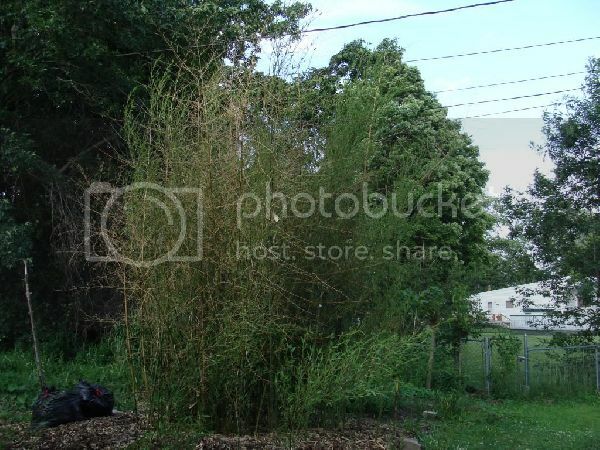 Those four Spectabilis plants really spread and filled out in one year.then, when they were all leafed out, you can see the two shoots that came out of nowhere and are by far my tallest(10 ft.). This instant hedge is real nice to look at, and I can't imagine what next year brings. I'm spreading grass clippings further out this time to assure the rhizomes have an easier time spreading. Here is my before and after for harbin inversa. I planted it as a 5 gallon last summer. It only gets a very short period of direct sunlight everyday in the summer. It is surrounded by tall spruce trees. My strategy was to provide as much winter wind protection as possible. It retained it's leaves over winter under a plastic tarp and sent up two nice sized shoots this Spring. One showing great geniculation. 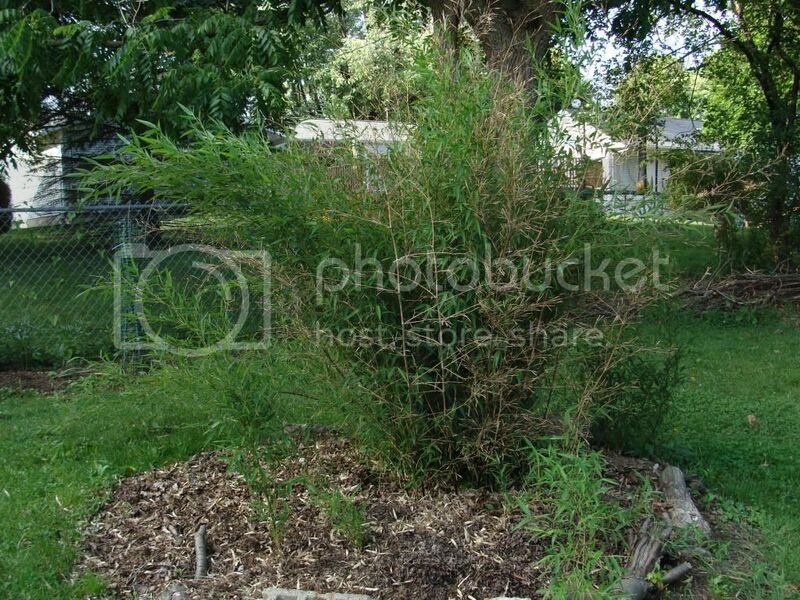 Before and after of Fargesia rufa over four years. They are protected from the winter winds in this small ravine. Rufa plants located only 50 feet away at the top of the ravine defoliate if exposed. 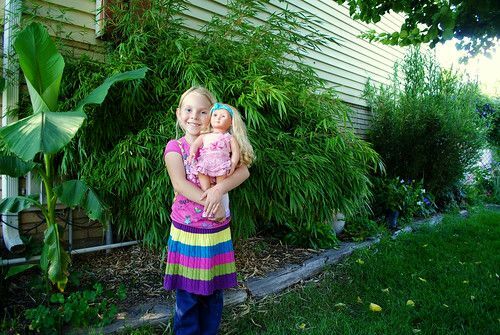 Plants receive only about 2 hours of sun in the Summer but more in the Spring before the deciduous trees overhead leaf out. 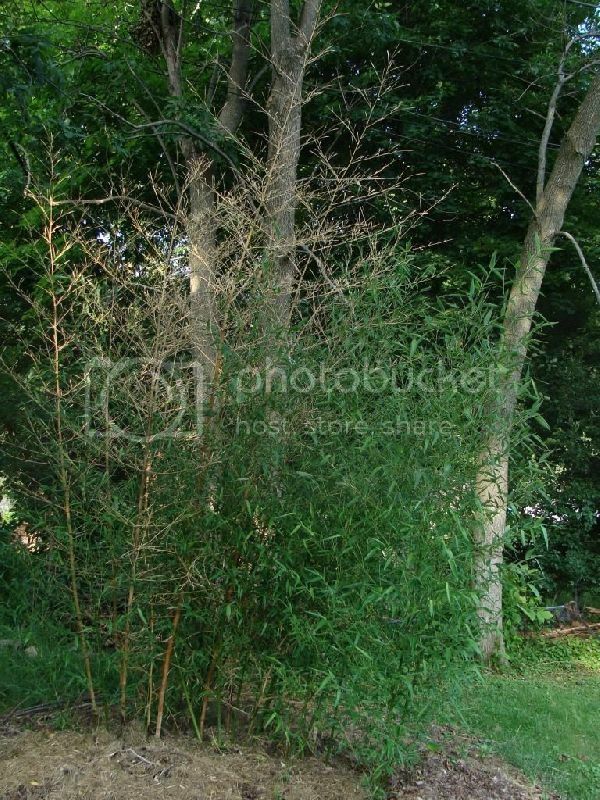 Before and after of Phyllostachys aureosulcata spectabilis. I have spectabilis in two locations. One location is in a clearing in a mature spruce forest with a lot of wind protection and the other location is more exposed to winter winds. At the more exposed location spectabilis has been inground for two winters. 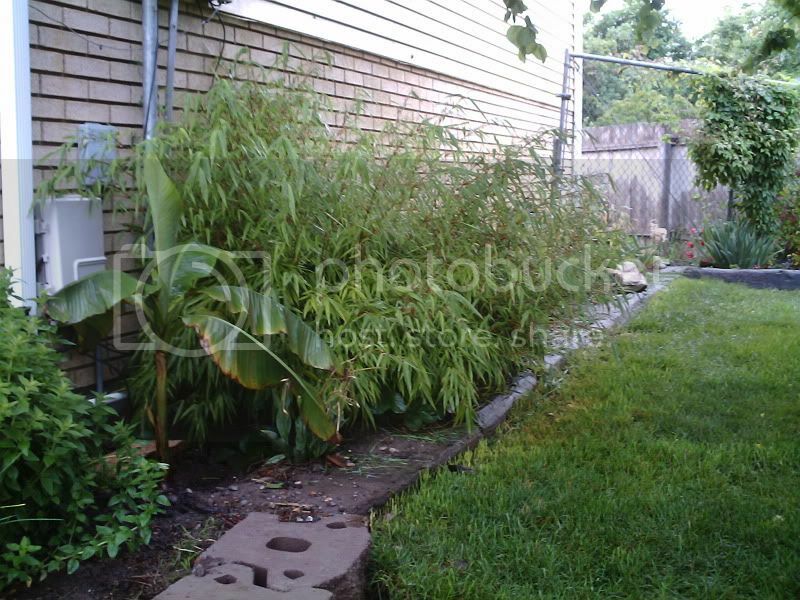 It upsized well after the first winter because it didn't suffer any damage under a plastic tarp. 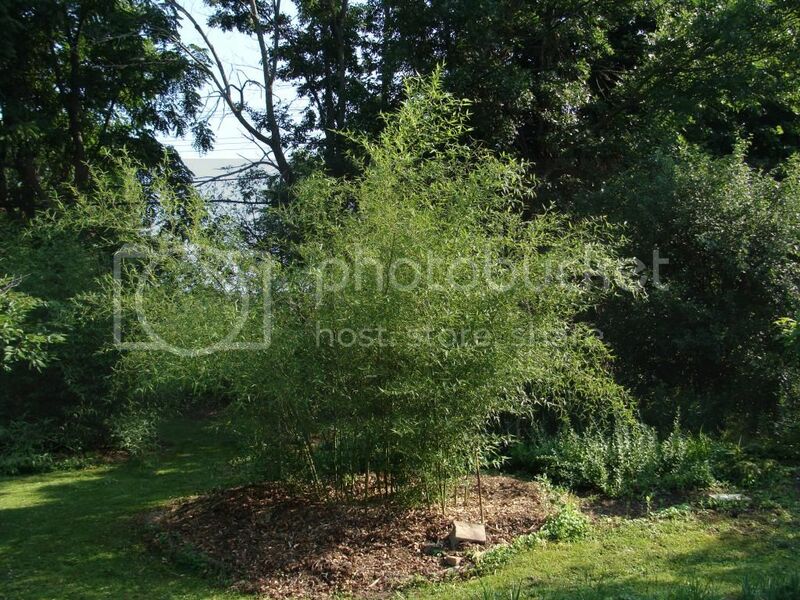 However it had almost total defoliation and lost some culms after this past winter, despite the same protection. 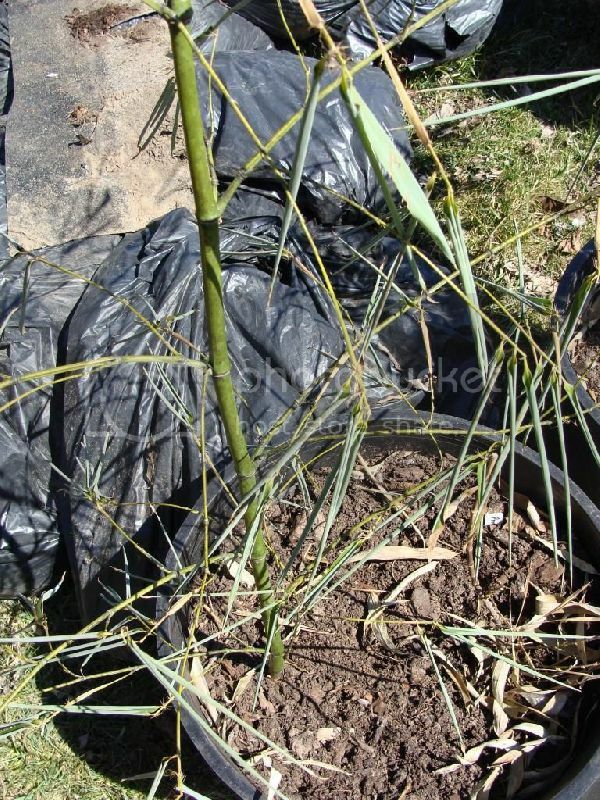 This same trend happened to all my bamboo that were winter protected with plastic (clear) but in more exposed locations to sunlight. Why did the bamboo do so poorly last winter in these more exposed locations? Did I tarp them too early before any snowfall? Did I tarp them too early in November / December and the sunlight cooked them? 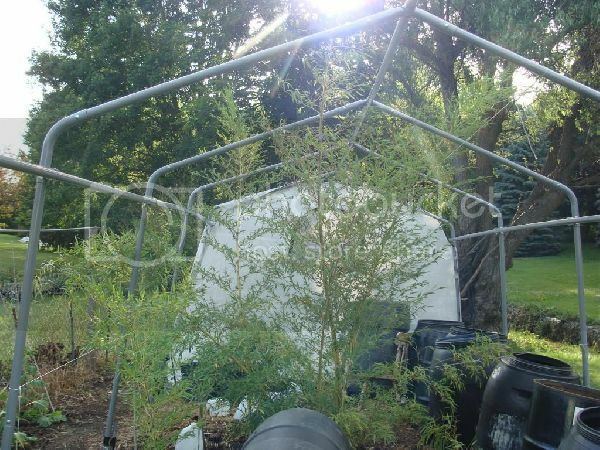 Are the clear plastic tarps a bad idea? Should I use white plastic tarps next winter to avoid solar gain? Did the tarps severely dry out the ground around the bamboo and stress them? 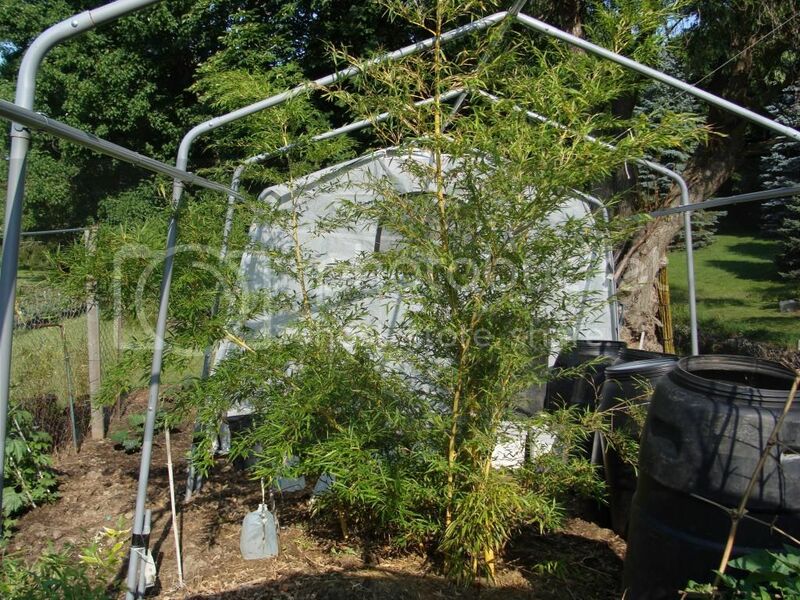 It must have something to do with the amount of late autumn and winter sun these bamboo received because the bamboo in more sheltered sites came out green. 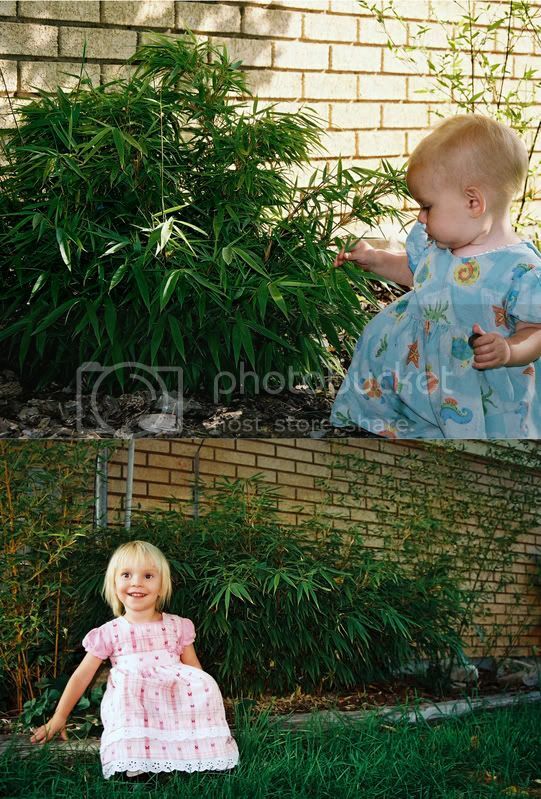 The first photo is the plant when I got it. The second photo shows the nice upsize in year 2. The third photo is this years growth (year 3) so far. The tallest culm in the picture is from last year. There are some new leaves growing on it. 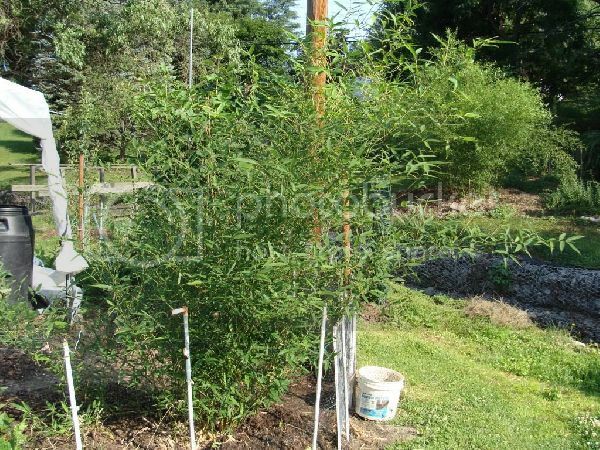 Overall, the bamboo did not upsize in tallest culm height or thickest diameter but it did spread out more and increase the overall average culm diameter. tncry - Your bamboos look very good. Did I tarp them too early before any snowfall? December is best here but a month earlier or just before nights start to go below -7c steadily I'd say for PEI. (Luck of the draw here in NS as the temps bounce all round the place until January as a rule but you never know). Did I tarp them too early in November / December and the sunlight cooked them? My guess if not snow covered. Are the clear plastic tarps a bad idea? A very bad idea. You can only temper the temp so much with plastic unless it is imediately covered in much snow and clear plastic is going to heat up if the sun hits in the then fall sharply when it passes by.. Really you can only keep the wind off with plastic or a tarp. See below. Should I use white plastic tarps next winter to avoid solar gain? Absolutely, that's why you see every hoop house in Atlantic Canada with white tarp on them in winter, It keeps the temp stable and prevents rapid fluctuations and slows the temp drop. Once you get extreme cold for a protracted period the cold is going to get almost to the same as outdoors but generally you won't get a plunge if the seal is tight - too tight and the foliage may rot. 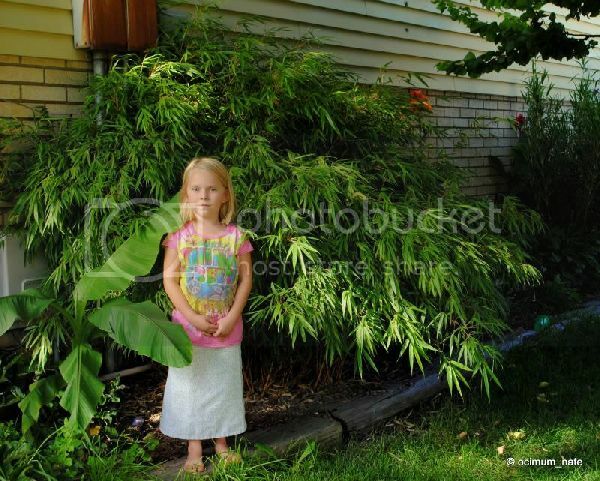 Did the tarps severely dry out the ground around the bamboo and stress them? I think in Atlantic Canada with its high precip that there'd be enough movement of water in the soil. I could be very wrong about that; just a thought I do cover the somewhat tender gingers with plastic and mulch atop to keep excess water off them and do find the soil a tad dryish when removed in March.....hmmm. The big fear with a tarp is creating vole hotel! They are horrible guests an go for Fargesias in a big way. I'm thinking a long narrow styro-lined coldframe that the young canes could lay in and a styro lid, maybe filled with oak leaves. have to do something heroic for those young parvis you know. johnw - +20c ay 23:45, unreal. I've found no problems with any type of tarping materials. I've used stuff from trash bags, painters plastics, clothes, overwintering blankets, pool liners, frost cloth, thicker plastic, to simply just a log or something heavy to weigh down the culms. I believe one thing that may have happened is too much of a gap between the tarp and ground which may have allowed cold air in. I don't know how cold your zone 5 gets, but if the culms aren't very low to the ground, they might still be prone to extreme temps. The only ineffective cover I found was the frost cloth which ended up deteriorating over the winter on my parvifolia so it ended up being pretty exposed during the coldest part of winter, but that didn't matter when it never dropped any lower than -14C. It needs to be 5 or more degrees colder to really dessicate some of the hardier well established bamboos. As far as future winters, I still plan on tarping some of them, but as my bamboos get taller and less flexible, I believe column tarping where I tie the clumps together with a string, and shrink wrap the whole thing will be the best bet. It seems like taking wind chill out of the equation is enough for most temperate bamboos around here, but you might need to test that out in z5 to see if it is enough. If not, you could always add some christmas lights to turn on only during the coldest nights. Once they start exceeding 25ft, it will no longer be feasible to do it all the way up to the top, but I think just tying all the culms in the entire clump together should have at least some benefit. Steve - It would be interesting to know how many of the forumists protected their bamboos for the winter, more importantly after the first couple of years. I will protect Phyllos for the first couple of years but after that they have to take what is dished out to them. I never protect Fargesias. I find the hardiness ratings by the ABS and many, if not all, bamboo nurseries very misleading. I often see -20F listed for P. aureosulcata and we all know there's leaf damage around 0F, culm damage around -5F or slightly lower and death at maybe -20F. If there is no snow cover for an extended period that figure - -20c - is probably very much higher. If rhododendrons were rated the same there would be an uproar if they were rated Z5 and all the leaves burnt off in Z6 but they flushed out again in spring b- generally they have a plant hardiness rating and a bud hardiness rating. 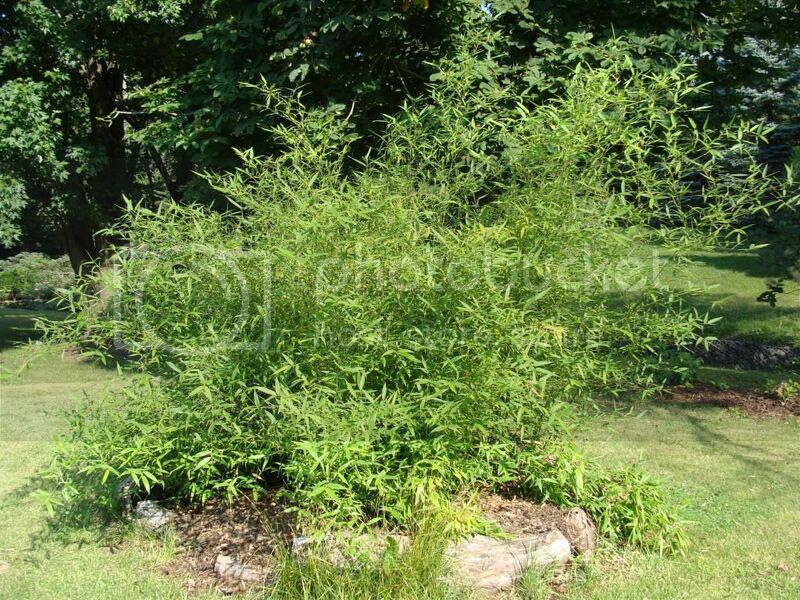 I think the same must be done for bamboos - plant hardy, leaf hardy, rhizome hardy. 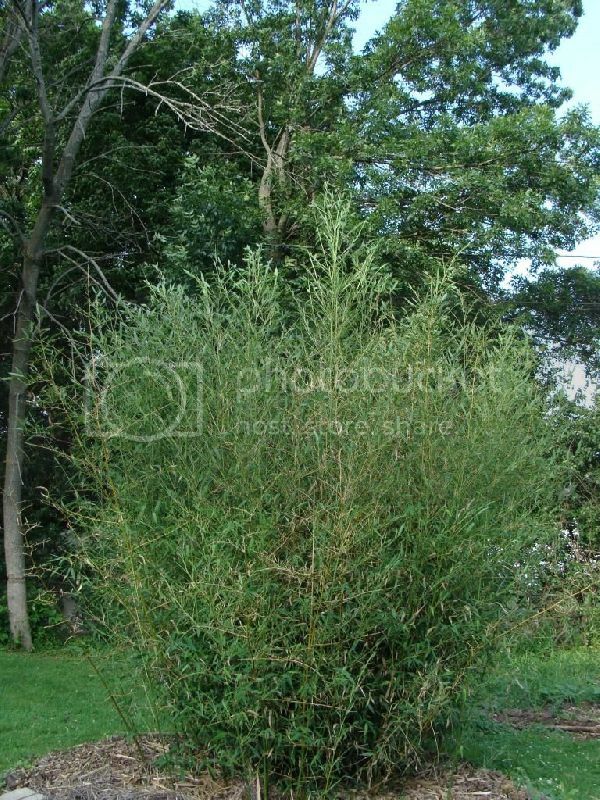 Most of the ratings seem to treat bamboos as if they are grown as top-kill perennials, but I doubt that too many growers are interested in growing bamboos that way. Needmore's website has good estimates on the leaf hardiness of many bamboos and that list is posted here on this site somewhere as well. Imo much more useful than the usual hardiness ratings! "It really burns me to see aurea or nigra listed for zone 5"
Not as badly as it burns them up in Zone 5 I bet. 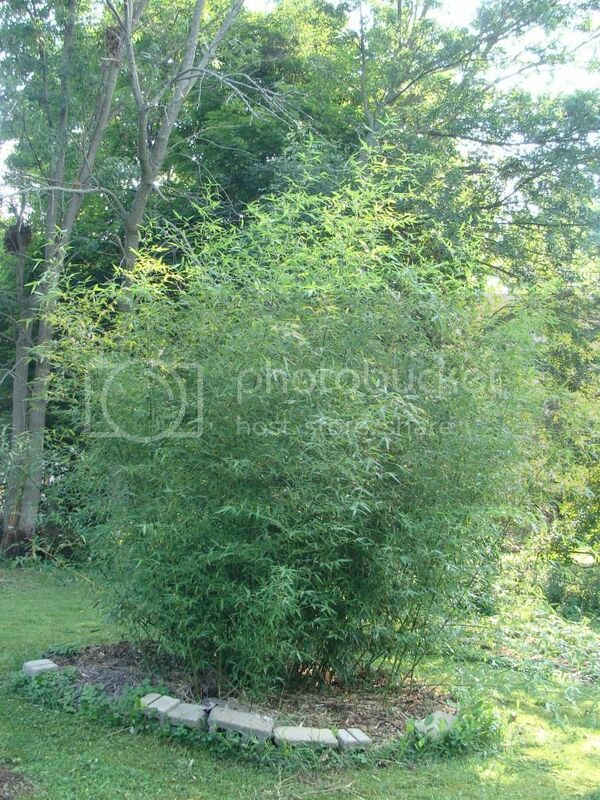 Matt - Couldn't agree more with you, the hardiness ratings should not be as a top-kill perennial but the coldest zone where any bamboo stays fully evergreen. 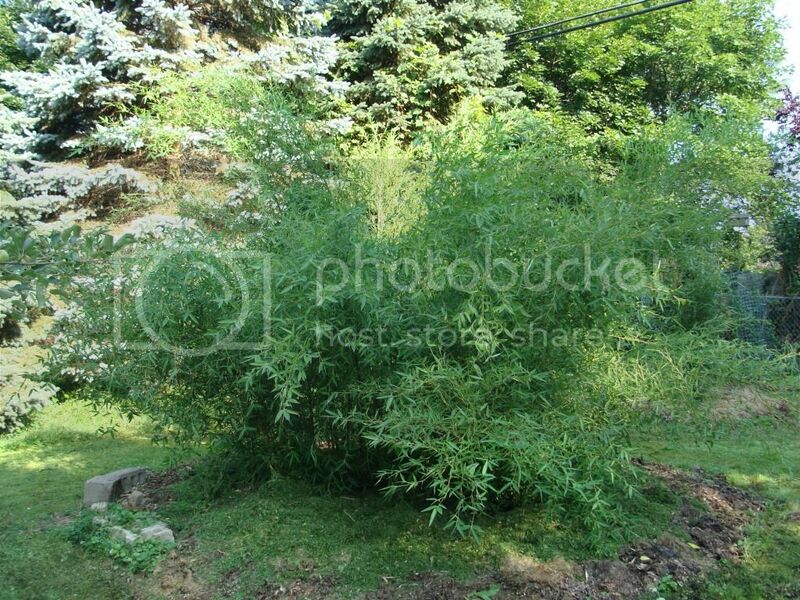 Period - we are talking of a broad-leafed evergreen. Even lows are misleading as one could an conceive of a climate where the temps stay at 12F for 3 months without budging, then what of hardiness? Here we are in Z6 but it's a protracted cold Z6 most winters. Certainly Brad's ratings are the biggest step in the right direction that I have seen. The fur must be flying in Europe after last year's really bad winter. 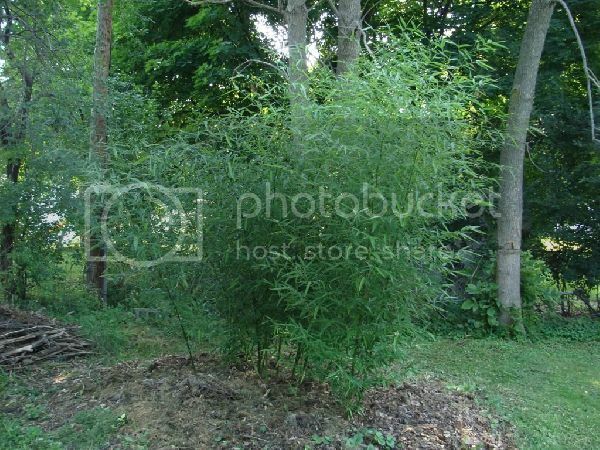 My biggest upsize of the year is Phyllostachys aureosulcata aureocaulis. The first picture shows the couple of 5 gallon plants I put in last year. The second picture was taken today. My fingertips measure around the 8 feet mark. 11 feet tall maybe? One thing that happens in my greenhouse is that the pots above ground tend to freeze and dehydrate causing the bamboos to stress out, and curl their leaves. Here's one of my prominens divisions which was badly curled when I took it out a week ago, but now the leaves look nice and healthy after the soil has thawed out. 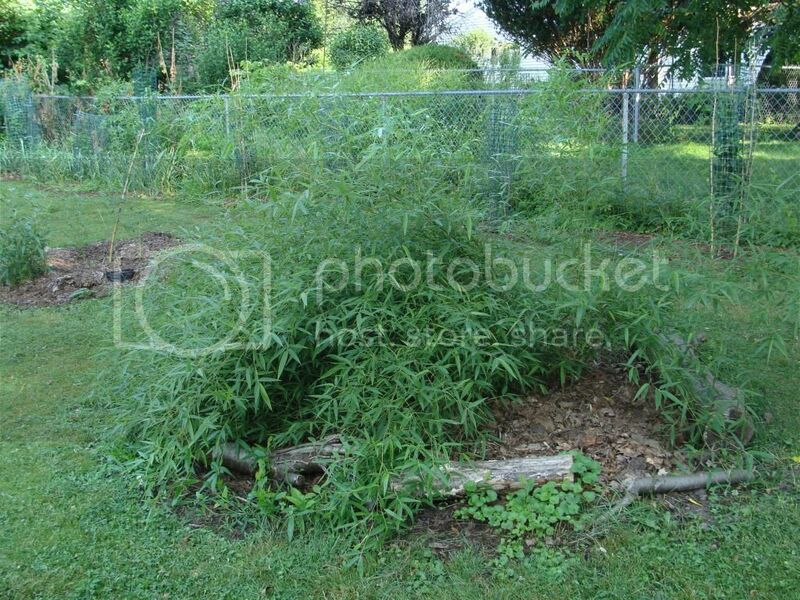 This is not the main plant, but I think it should still produce enough energy to shoot this year. 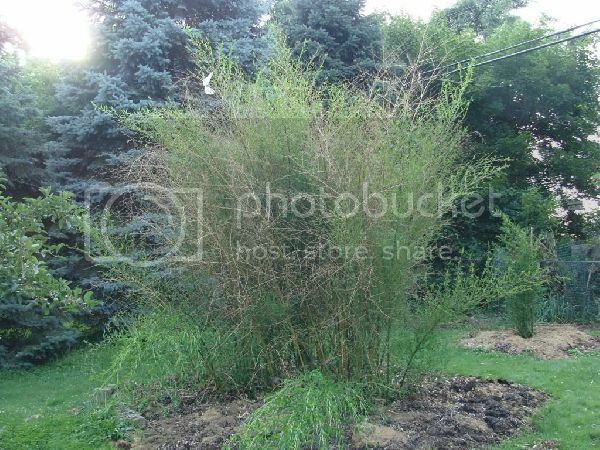 The same thing happened with my nitida divisions as well as my denudata. I have removed most of the old culms, most of which is badly damaged. Here are some before and afters. 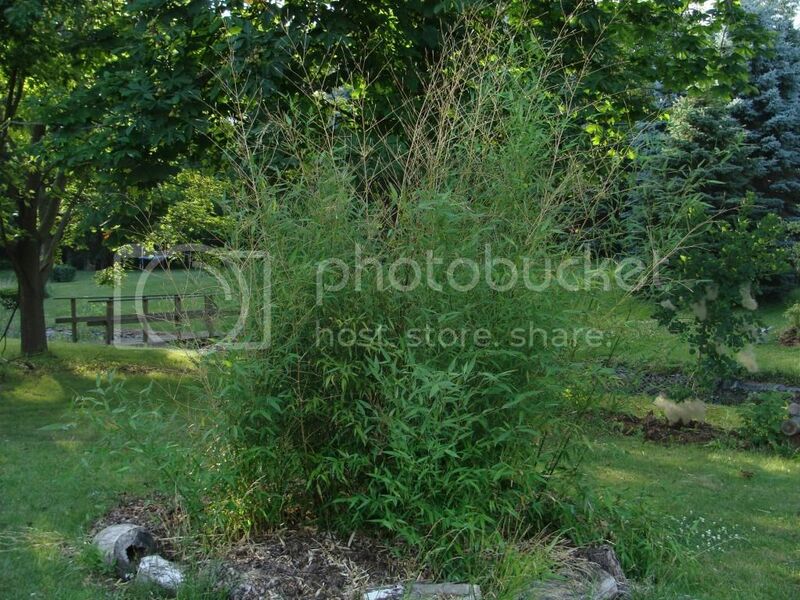 There is a 2 week time difference between the photos which can account for the difference in foliage. Some divisions were also taken during this time so they may look more tidy. Parvifolia: This was staked up shortly after taking the photo since culms do not appear strong to support so much foliage yet. Bicolor: No old culms were removed, but one division was taken.